Being a quality conscious name, we are instrumental in offering the premium quality of Hydraulic Cutter Machine to our valuable patrons. Known for their high performance and noise-less operations, these cutters are used for the purpose of efficient metal cutting applications in various industries. 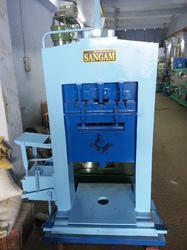 The offered machines are available with us in various designs, sizes and shapes. Looking for Hydraulic Cutter Machine ?